"Art is total freedom and self-determination." Kino Lorber has debuted a new US trailer for a documentary titled Beuys, profiling the life and work of radical German artist Joseph Beuys. You may not know his name, but you probably know some of his work. But this is also the perfect documentary to watch to give you a complete introduction and help you understand some of his mindset and mantras for creating such unique, innovative, radical art. I saw this film at the Berlin Film Festival last year where it premiered, and listed it as one of my favorite films of the fest. It's a fascinating and creative look at Joseph Beuys, and more than anything made me admire this great artist and feel deeply inspired by his work and his outlook on life. Joseph Beuys, the man with the hat, the felt and the "fat corner". Thirty years after his death he feels like a visionary who was, and still is, ahead of his time. He was the first German artist to be given a solo exhibition at the Guggenheim Museum in New York whilst at home in Germany his work was often still derided as the "most expensive trash of all time". Once asked if he was indifferent to such comments he retorted: "Yes. I want to expand people’s perceptions." 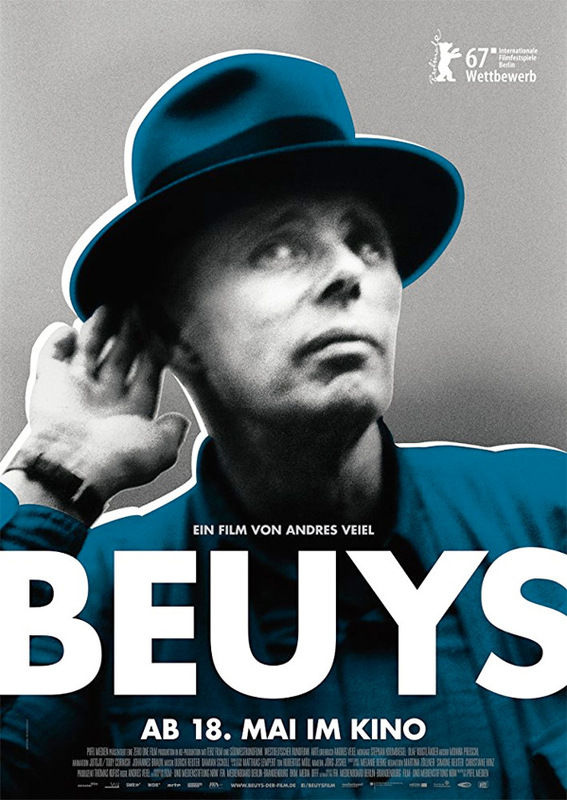 Beuys is directed by German filmmaker Andres Veiel, of the docs Balagan, Die Überlebenden, Black Box BRD, Die Spielwütigen, and Der Kick previously. This first premiered at the Berlin Film Festival last year, and already opened in Germany in early 2017. Kino Lorber will release Beuys in select US theaters starting January 17th, 2018 this month. It's worth a watch.